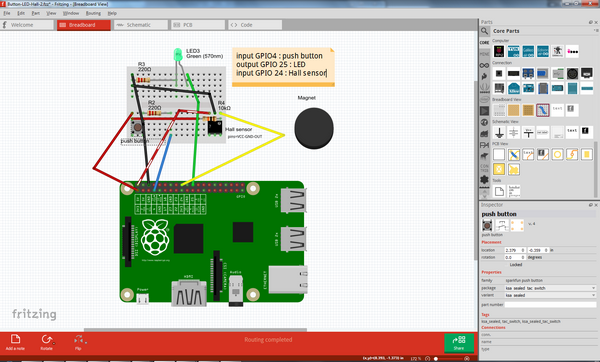 Fritzing is an open source tool, which is great for documenting your Raspberry Pi projects. Their library contains several electronic parts, and if needed, one can create own components too. For advanced usage, one can even order PCBs (Printed Circuit Board). The primary view is the breadboard view as shown below. 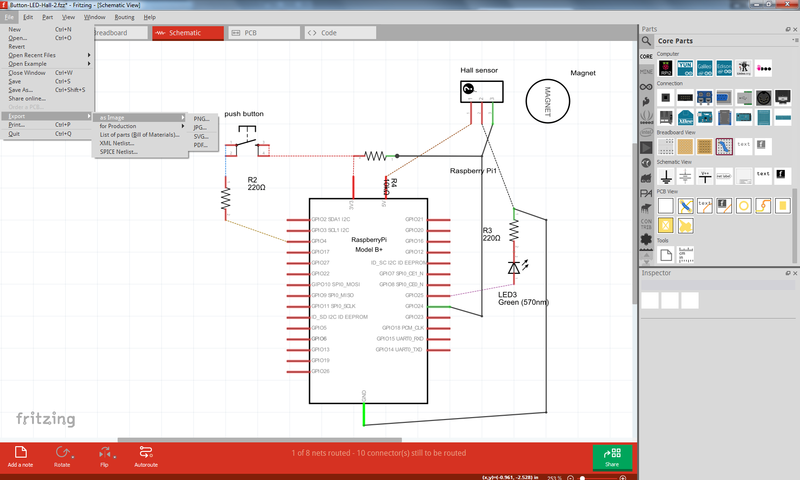 The schematic view is automatically created & updated while working on the breadboard side. After breadboard is ready, one can finalize the schematic into a better looking arrangement. This entry was posted in Anvanced Tools, DIY, For Fun or Interest, Hobbies and Other Interests, Innovation and new tech, Internet of Things and M2M, Raspberry Pi, Robotics, Tools. Bookmark the permalink.